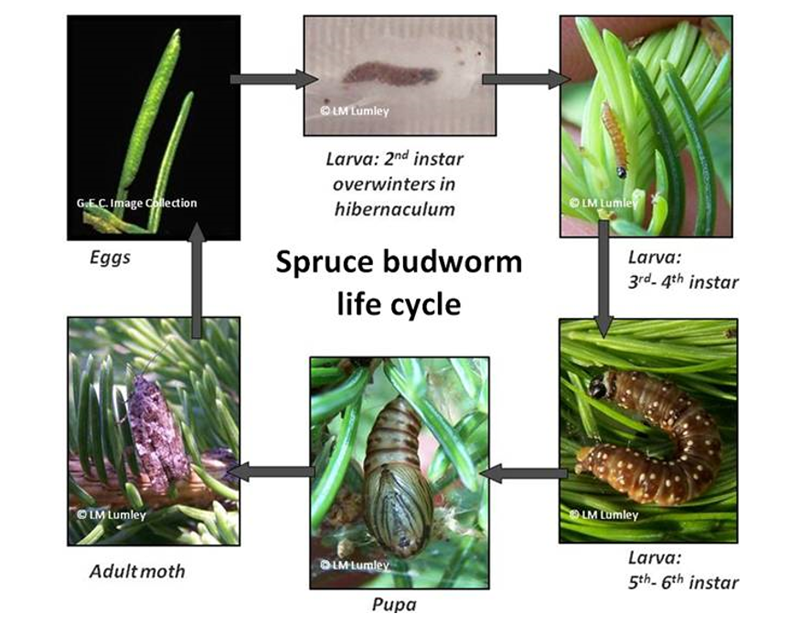 The spruce budworm, Choristoneura fumiferana, is unmistakably the most devastating insect pest of the boreal forest in eastern Canada. Its populations undergo cyclical changes in density and reach outbreak levels every 30-40 years. During the last outbreak, in the 1980s, 32 to 46 M m3 of spruce and fir were lost annually through either tree mortality or growth reduction. In recent years, its population levels have been on the rise in several areas of Quebec and, on the basis of sampling conducted in 2009, severe defoliation is anticipated for 2016. The project is done with close collaborations with teams at Natural Resources Canada. We generated millions of Roche 454, Illumina, PacBio and bacterial artificial chromosome sequence reads. This genomic data is being used for assembly of the genome, distributed over 30 chromosomes and estimated at ~450 Mbp. Additional work generated data at the transcriptomic level from the different life stages of the insect as well as microbiome studies where composition of the budworm’s midgut microbiota was affected by rearing conditions. This work is followed by comparative genomics analyses aimed at identifying genes that are unique to C. fumiferana and that could be targeted for pest-control product development and other biotechnological applications. Marcelo M Brandão, University of Campinas, Campinas.